Your Cotton Belt Questions Answered: Act One! 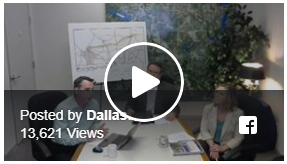 DART’s recent Cotton Belt Facebook Live was an opportunity for North Texans to get their questions answered and learn more about North Texas’ newest regional rail project. Didn’t have a chance to tune in? Or maybe you had to jump before your question was answered? Don’t worry! We’re continuing to answer your questions from the Cotton Belt Live, and bring you more information about some of the project’s finer points and details. It will take 60 minutes or less to get from Plano to Dallas-Fort Worth (DFW) Airport, down from the hour and 45 minutes or more it currently takes to ride rail that same distance. The Cotton Belt creates a significant time savings by eliminating the need to travel through downtown Dallas and limit transfers if not using the Orange Line. The Cotton Belt itself will travel at a speed of about 30 miles an hour, when you factor in all the stations, stops, curves, etc. A one-way trip from Addison to DFW will take about 30 minutes. If you’ve ever driven that stretch in rush-hour traffic, you know that it can take a lot longer than that. There are also additional costs to factor in when you consider the toll roads, gas costs, etc. Carrollton Heights is near a freight-switching yard called Mercer Yard, which can create a lot of noise. As part of the Cotton Belt project—and in response to the growth in Carrollton—the freight-switching yard will be moved to the east. While freight lines will still pass through the area, the noise associated with the switching activity will be greatly reduced by this move. The Cotton Belt alignment is planned to be a double-track rail with all brand-new track, which means a quieter operation for both freight and passenger rail. The Cotton Belt will also be a new-technology train that is designed to be quieter by nature. All combined, the Cotton Belt will help minimize the noise concerns in the region while promoting some of the redevelopment efforts Carrollton is undertaking in its downtown area. DART anticipates the Cotton Belt will open in December 2022, with construction taking place between 2019 and 2022. To help fund the project, DART is seeking a Railroad Rehabilitation and Improvement Financing Loan (RRIF) of $908 million from the federal government. Additional local funds from the North Central Texas Council of Governments and the Regional Transportation Council, as well as other sources, will also help bring the Cotton Belt to life. These are all great questions, and we’re so glad our experts were able to answer them during our Cotton Belt Facebook Live video. Stay tuned and we’ll cover a few more of our audience questions soon!